We need all sorts of help (approx 20-30 parents are needed each session) to run a great meet 2/24-26 at Worthington. I've had several parents come up with some great and fun team activities to reward our kiddos this year. Please pitch in to make the meet a success. Click below to sign-up! Friday 5:30 pm, all swimmers must be checked in before 5:30. Finals are for the top 16 preliminary swimmers in 9-10, 11-12 events and the top 24 preliminary swimmers in 13 & over events. *All events on Friday night as well as the 1650 Freestyle (Saturday) are positive check-in events at Clerk of Course. *Check-in deadline is 30minutes before the session begins on Friday and by 8:30am for the 1650 Freestyle. *Everyone entered in FridayNight Events, the 1650 Freestyle Events WILL swim. It was not necessary to limit these events. These Events are deck seeded events and you MUST check-in to be seeded! *Friday night events are being swum SLOWEST to FASTEST. *Deck Entries will NOT be accepted.This meet is FULL and NO HEATS will be added. *The Gym is available on Saturday and Sunday at all sessions.We welcome you to set up a Team Area in the gym. Swim bags, coolers and chairs are not permitted in spectator seating or in the Natatorium. For your safety and the safety of others All Walkways and exits must be kept clear! *No coolers or glass containers are permitted in theNatatorium. *ALL 8 & UNDER EVENTS ARE BEING SWUM DURING THE AFTERNOON SESSIONS AS TIMED FINALS IN PRELIMS. 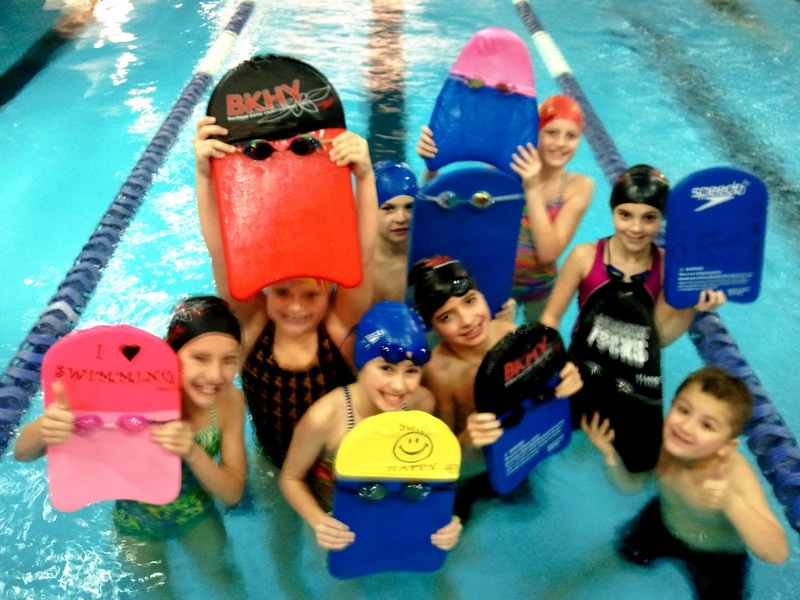 There will be a Clerk of Course staging for 8&Under swimmers only. Parents - please have your kids read this. Before practice, please put your clothes inside a bag. Clothes strewn everywhere tend to get misplaced or picked up by someone else. After practice, please carefully pick up all of your things. Check that what you are picking up and putting in your mesh bag is yours - does it have your name on it? This is just a reminder to bring water bottles to practice. The kids do sweat while swimming, and thus need to replace their fluids. Only one month left in our Buffalo Wild Wings fundraiser. Please dine at the BW3 Polaris often and remember to show your teammate card! All order must be paid for with a check to Buckeye Swim Club. 100% of your order (less $1-4 in s/h) goes into your meet fee account. Marriott® and Great Lakes Scrip Center are excited to offer a 2% bonus contribution from Saturday, February 4, 2012, through Friday, February 17, 2012. That means you can purchase the $50, $100 and $500 Marriott's TravelCards® with a 10% contribution instead of the normal 8% contribution, during that time period only. With the TravelCard, stay at any of Marriott's hotels worldwide and experience the superior customer service that is the hallmark of Marriott. Their hotel brands include: JW Marriott® Hotels, Autograph Collection®, Renaissance® Hotels, Marriott® Hotels & Resorts, Marriott® Vacation Club, Courtyard®, Fairfield Inn and Suites®, SpringHill Suites®, Residence Inn® and TownePlace Suites®. With over 3,600 hotels worldwide, they are everywhere you want or need to be. To add even more value, check out www.marriott.com/specials for hundreds of hot deals on cool getaways. Jeremy, Luke, Lauren, Rachel, Macey & Bobbi. Back row: Ellie, Elissa, Maddie, Nick & Jeremy. 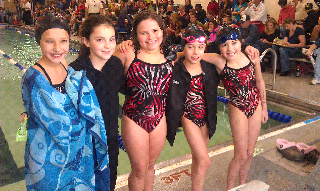 Congrats to our 10 and under tough girls that swam 5 outstanding 100 butterflies on Sunday at the Kelly German meet. I am looking for a few volunteers to coordinate and help plan some upcoming Buckeye events. The pool project has me with no extra time on my hands to do this! We have our annual banquet coming up in April, I need someone to help plan and coordinate this. Also, we are planning a team trip to a meet in Newport News, Virginia June 29-July 1. I think a well planned trip could be ridiculously fun for swimmers and parents. Please contact me if you are interested. Marriott International is now the preferred National Sponsor with USA Swimming and the Cincinnati Marlins. We are excited that your team will be visiting Cincinnati area. Included is a glimpse of services we offer for teams that stay with us. Our friendly, knowledgeable staff will make you feel right at home and our sports friendly standards will have everyone in the team relaxed and stress free. Please contact us if you have any questions, we will be happy to help! Or check out our link below! We look forward to hosting your team!! Winning is serving with grace every day. And you help us become who we’re trying to be. It’s sharing a smile instead of a frown. And sharing the values and dreams that inspire. It’s giving your parents the message, “I care. Their favors are free, you’re never in debt. They share and they care for everyone’s need. But there’s one of life’s laws that they keep forgetting. The more that you give, the more you’ll receive. We are having another Bob Evans dine in Tuesday at the Bob Evans at 23 & Powell Rd. Please support the team fundraising efforts by visiting Bobs on Tuesday! Print the flyer (link below) and present it to the cashier for credit. Only one month left in our BW3 fundraiser at Polaris. Please eat and show your card often this month! I know that's not as much fun as a water park, which was one idea I kicked out - but after researching them, I was kind of grossed out by the customer feedback sites. So the other thought was snow tubing at MRM, which wouldn't be bad - we'd probably be able to do it in our swim suits since cold weather is no where to be seen :) But the coaches have been grumbling for some time that we need a clinic, so they won! We'll try to do a pizza party in early February as well. I had the opportunity to present our project to the OLSD School Board tonight and formally ask for school land as a home for our pool. The meeting went very well, with some great questions and observations from the Board. We were given the thumbs up to continue our quest. It appears that the next stop will be legal, followed by finding a viable site for the pool! Thanks to Vickie, Jim, Krista, Debbie and Wendy for being there tonight. Jim Davis also spoke to the board on behalf of our district swim parents and did a great job representing the family perspective of what this means to all of us! A special thank you as well to Wendy who put together an amazing letter for everyone to sign and pass on. Silver swimmers got creative at practice recently, creating swim buddies to keep them entertained during a kick set. 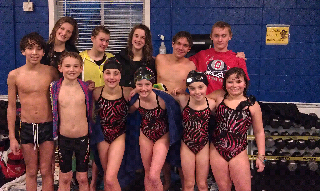 Pictured: Natalie, Bobbi, Luke, Grace, Graham, Rachel, Macey & Dylan. The UASC Triple Crown will be held this week-end at Upper Arlington. We expect warm-up assignments on Tuesday and will update those to the team meet webpage as soon as they are available. Team entries will be posted by midday Monday.